Did you know that making music is the ONLY activity that taps into ALL portions of the brain? That’s pretty powerful stuff! And that’s a huge reason why we do what we do – we are passionate about music education and the benefits of music. While yes, I’m a pro-musician and I LOVE making music… Our focus at Sing Music Studio is not to create little musicians. Our focus is on the incredible benefits that making music has for ALL children. Watch this short video that explains about music and cognitive benefits. You’ll also see Kindermusik kids in action. Age 4… oh what fun! Eager to learn. Excited and full of energy. The 4 year old is ready to jump into junior kindergarten! That means the 4 year old is also ready for all sorts of musical fun in our music classes for junior kindergarten kids… Kindermusik Level 4! While junior kindergarten kids are still processing thought through pictures (the inner voice does not begin to develop age 7), these 4 year olds have a large vocabulary and are now able to carry on full conversations! They are full of questions and curiosity… and ready to learn more about music! 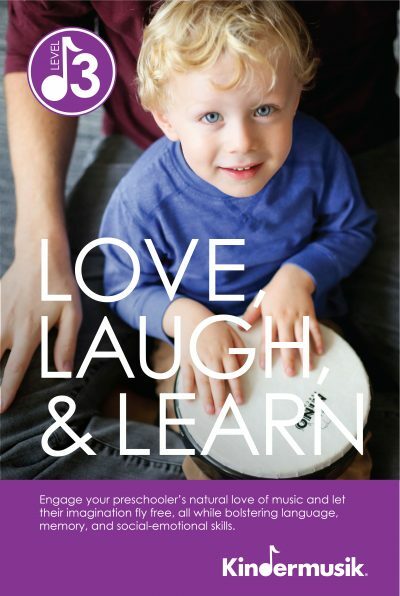 Up until Kindermusik Level 3, our main focus is brain development and child development in our Kindermusik program, and, don’t get me wrong, all of that is still prominent in Level 4, now the children are primed and ready to start learning more specifics about music too! Throughout the course of the Level 4 year, children are introduced to so many exciting styles of music from jazz to opera, classical, modern, folk, world music and more. The Level 4 class sets the stage for the beginnings of new musical concepts, laying a wonderful foundation to move on the either Level 5 or private lessons. We have tons of fun in our music classes with junior kindergarten kids and can’t wait for the next round of Kindermusik Level 4 classes to begin! Preschoolers are so much fun to spend time with! The ever inquisitive preschooler with a fresh perspective on life… we can learn so much from these little cuties! Here we have the child who is now making sentences and has a clear understanding of self-awareness. 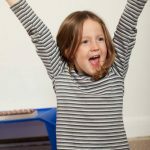 You probably have started to notice your 3 year old copying everyday scenarios during play and this is the emergence of pretend play. This type of play is so important for a preschooler to explore and develop creativity and imagination. This pretend play will eventually become more complex. They love to tell stories! They are still learning self control and inhibitory control. They are still developing vocabulary. They are fascinated by the world. The midbrain is in the optimal development stage, which is directly linked to emotions. Memories are linked to emotions – so emotional state is KEY to learning and healthy development. They LOVE to be helpful. At Sing Music Studio, we LOVE preschoolers and we are excited to support your child’s growth and continue to share our knowledge of this stage of development with you in our Kindermusik Level 3 classes for 3-4YO! We know how key the emotional state is to learning. Your child needs to feel safe, secure and loved to thrive in a learning environment. And while our Level 3 classes are much different than the earlier Kindermusik classes because they are drop-off classes, we recognize the importance of your child’s emotional state and we happily invite parents of children who are just not ready for that independent step yet to join us for as long as it takes. Kindermusik is a happy, loving place! And we are here to support your child’s learning needs in whatever way that may be! We allow children the time they need to process and respond and provide oral stories to facilitate mind pictures and imagination. We are patient, kind and answer the questions. We provide fun activities and structure to foster self control and inhibitory control. We introduce new musical language and vocabulary in our songs, rhymes and stories. We have 12 different units of music classes with new themes each month, exploring both new and familiar preschool appropriate material. We support each child’s emotional development by observing, listening, acknowledging and providing tools to both parent and child on foster each individual’s needs. We provide a safe and loving environment for learning with focus on happy children to foster learning! We notice when each child is helpful and foster that by talking about how good it makes us feel to be helpful. 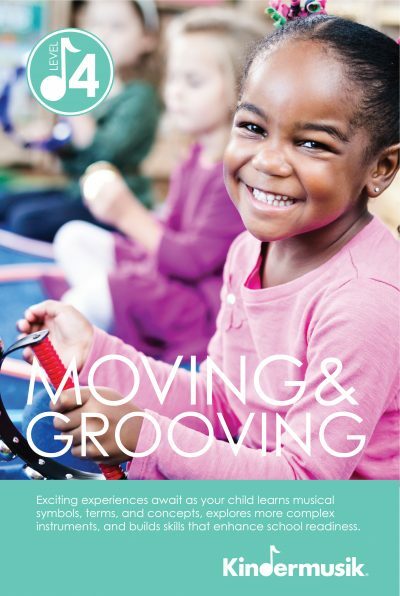 New Kindermusik Level 3 classes begin in September and we can’t wait to share our time with your preschooler! Sometimes it seems to me that toddlers get the short end of the stick. Society seems to think that toddlers are challenging. Terrible twos. Public tantrums. Squealing voices. Onlookers giving judgemental looks. Me, me, me mentality. The toddler rules the roost. If you ask me… all of these statements are exhausting… negative… and unfortunate. What if we lived in a world where we all supported the growth of the toddler? Where we allowed the toddler to toddle? To explore? To follow the bubble… the inchworm… the bird… the rabbit… Without judgement. With only boundaries governing safety. 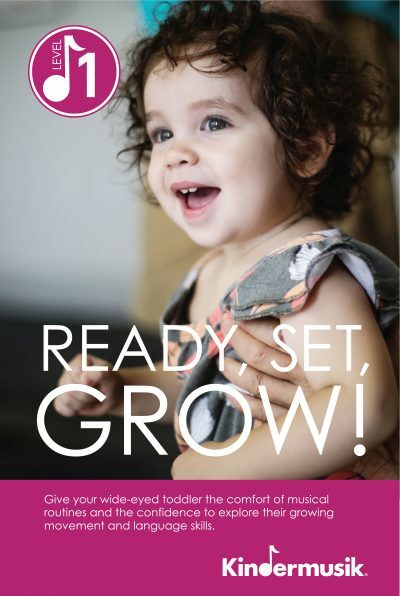 Imagine the possibilities for that growing, exploring toddler! This is powerful information. This is information that SOCIETY needs. The world where the toddler can explore freely and you and your toddler can be guided through all of this information (and more) does exist… it’s right here in our Kindermusik classroom! We can help you achieve this optimal learning environment by providing tools to realistically navigate our sensory overloaded, technology based environment. 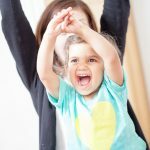 Our toddler music & movement classes focus on being present with your child. Guiding the child through the various stages and developmentally appropriate activities. To begin to toddle, to explore the body and what it can do, to explore the voice and the sounds it can make, to imitate, to create, to express, to listen, to laugh, to play, to pretend, to refine motor skills, to explore, to manipulate, to discover, to dance, to connect, to become self aware. The endless benefits go on. 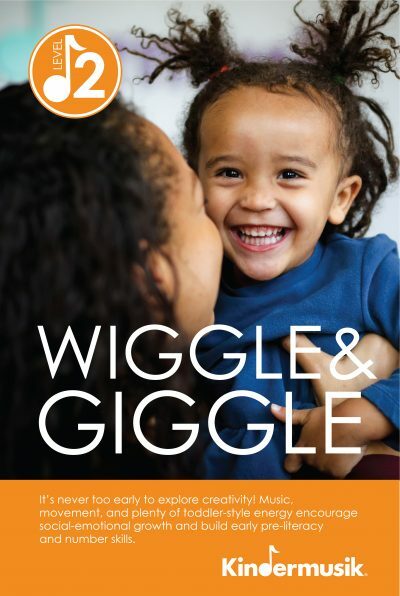 We are eager, I am eager, to pass on this important child development knowledge to you, to help you support your toddler’s growth and for you to help open society up to see the world through the excitement and wonder of the toddler. Kindermusik Level 1 for young toddlers ages 1-2 and Kindermusik Level 2 for older toddlers ages 2-3. The magic happens here. Well it’s high time I got back to this blogging business… and I figured there’s no better way to start than talking about my favourite class to teach… Kindermusik Foundations! And who’s the star of the show? Babies, of course! Who doesn’t love babies? With their pudgy cheeks, squishy arms, belly laughs, chubby legs, adorable faces… I know I simply can’t resist. And babies are fascinating! Have you ever just sat back and watched how babies move and interact? It’s magical! I’m fortunate enough to have met tons of babies over the past 12 years of teaching Kindermusik and been able to watch babies just about every week during that time and I never grow tired of it… I’m always learning something new. So let me tell you why Kindermusik Foundations class is my favourite (and don’t get me wrong, I love ALL of the Kindermusik levels but this class is just so special)! 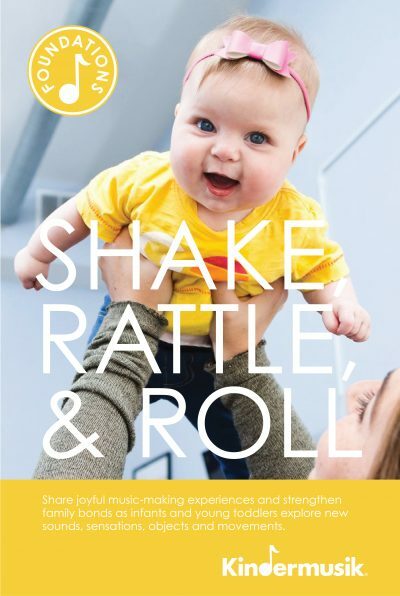 I get to see the magic unfold so many times… baby’s first roll over… baby’s first lizard crawl… baby’s first crawl on all fours… baby’s first time balancing on 2 feet… baby’s first steps… baby’s first word… WOW! I’ve seen them all and the pride and joy in mom or dad’s face! Precious! 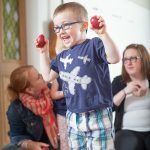 I get to impart some of my ever growing knowledge base on child development and infant stages and the profound effects of music on babies to eager moms (mostly but sometimes dads too) who REALLY listen because they REALLY want to know how they can set the best stage for their baby’s development. I get to foster and cultivate new relationships between moms and babies, connecting a new network of mommies who need other mommies and watch them rely on each other for advice, support and friendship – that’s powerful stuff. I get to see the joyous reactions of babies to my passion for music and singing as I share these wonderful gifts with the wonderful group of moms and babies I am privileged to spend my time with each week in class. Pudgy cheeks, squishy arms, belly laughs, chubby legs, adorable faces. I can’t wait to meet the next group of Kindermusik babies that come my way! But for now, I will enjoy every minute of being present in the current weekly Foundations classes and look forward to the new class adventures next week will bring! Check out Sing Music Studio’s new Website! I have been waiting patiently for quite some time and now it’s finally ready! It’s Sing Music Studio’s new website! I’m very excited to announce it and with that, it means it’s also time to start blogging again because… well.. it’s been a really long time since I’ve blogged, lol! This new website format makes it so much easier so you can definitely expect more blogs from me in the future. So what will you find on our new website? A more streamlined look and easier navigation. And yes the addresses and maps are correct! Our branding remains the same but I think you will find the site cleaner, easier to read and follow and you will also see some fabulous pictures taken by our resident photographer, Neal Burstyn. Special Needs + Kindermusik = AMAZING! Throughout the 9 years I have been teaching Kindermusik and school music programs, I have most definitely worked with different special needs children. The majority of my experience has been in preschool and in-school settings where classroom teachers and one-on-one aides for the special needs children have been involved in the music classes. I’ve always been impressed with how music reaches these children. This school year, I have been so fortunate to be working with 4 different special needs children in my Kindermusik classes at varying ages and stages – the highest number of special needs children I have ever had in my own studio space in one school year. Some of these children need aides with them, some do not. Over the course of a few months I have seen so many changes and improvements in all of these children, it really is mind-blowing. I was already so aware of what a strong impact music has on learning and development in ALL children. But seeing the incredible changes that have taken place in these particular special needs children (some in just 2 short months) just solidifies to me that much further how strong an impact music has on us. These children have come leaps and bounds in focused attention, social skills, language development, following direction and so much more. I adore having each of these wonderful children, along with all of the other completely accepting and wonderful children in my classes. Kindermusik Makes GREAT Active Listeners! These students have come so far from where they began! Now in the fourth and final semester of the Kindermusik for the Young Child program, they grown, changed and learned so much! Thinking back to their first CRAZY class together, with short attention spans, barely being able to sit still throughout one short activity, everyone talking over each other and wanting to just run around, hardly able to contain their excitement… it’s pretty amazing to see how focused this group of children now is. In this video they clearly demonstrate their ability to listen, respect each other, help each other and respond to specific cues as they create the musical sound effects along with this somewhat lengthy story – lengthy for 7 year olds anyway! Great job kindermusik kids! Christmas Recital – Truly Inspirational! WOW! What a performance! Our Christmas Recital this year at Regency Retirement Home was our best show yet! The students worked so hard putting together performances and we had some excellent sibling combos this time around. Sisters and brothers playing and singing together – what a joyous occasion! Since our recital, I have had many parents contact me telling me how truly inspirational this show was. I have heard stories of students putting on at home Christmas Recitals for their extended families over the holidays. This truly warms my heart and brings me back to memories of me and my sisters putting on holiday shows for our family at Christmas as children/youth and teens. It makes my heart sing knowing that I have inspired that same love of music in my students and I cannot wait to see what future performances hold. Here is a snippet of our recital. In this clip, one of our inspirational students sings and plays The First Noel. This student has been coming to lessons since she was in SK, now in grade 2, she has a beautiful touch on the piano, is beginning to find her singing voice and aspires to learn the guitar next. I know she was a true inspiration to other students at the show who now also aspire to sing and play. The mother of one young student in particular told me how her daughter went home and starting practicing singing and playing the piano after seeing this performance. Watch and enjoy, truly inspired and truly proud of all the performers at the incredible Christmas Recital in 2013, Miss Mandi. Watch out for those Treble Makers!!! You’ve got to see this adorable rehearsal of the Treble Makers (minus one Treble Maker) getting ready for their first ever performance at our Christmas Recital. From the get go these girls were dying to sing some songs from Frozen, and, well, they did a great job on Do You Wanna Build a Snowman. Watch and see… so proud of these sweet girls!